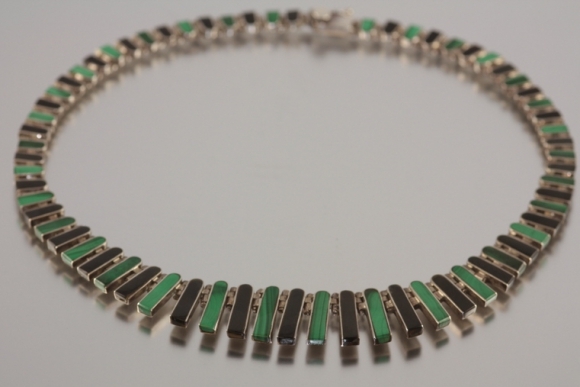 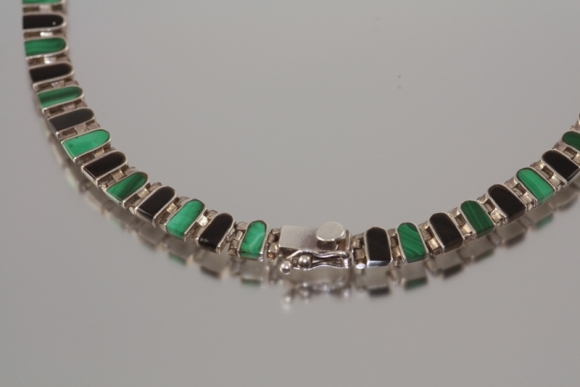 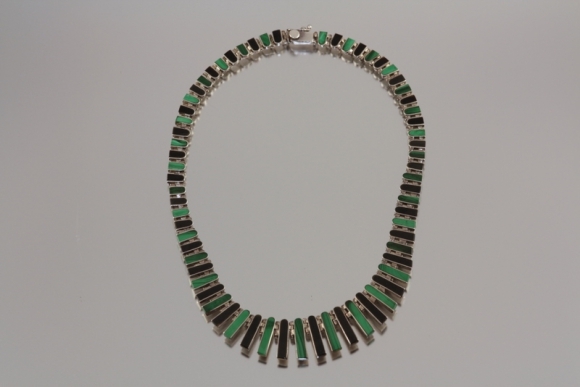 A sterling silver Cleopatra style necklace inlaid with onyx and malachite. 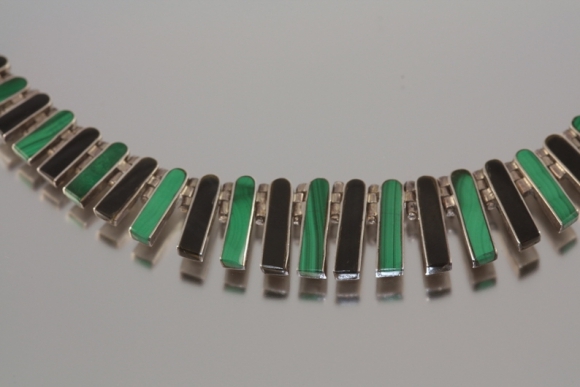 The "fringe" graduates from 6mm to 18mm. 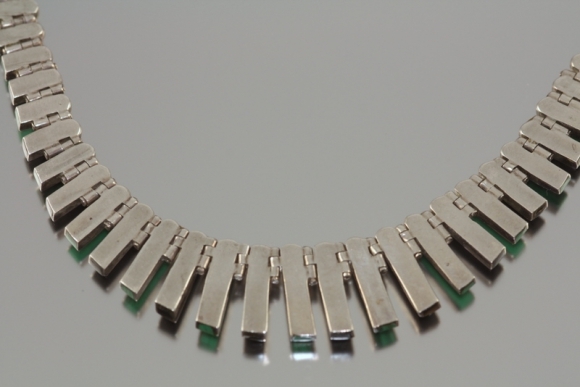 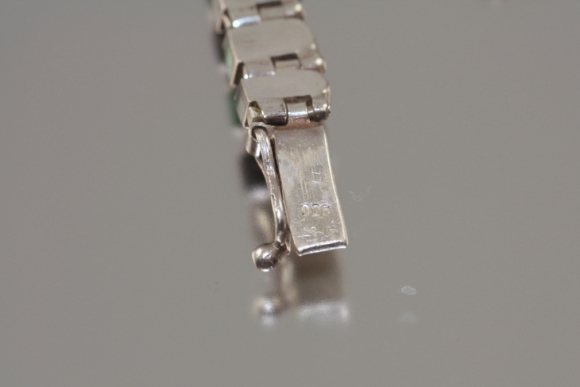 The length of the necklace is 15" and wears beautifully close to the neck.